The University of Washington and Tsinghua University have agreed to launch an integrated dual degree program through the Global Innovation Exchange (GIX) that combines project-based learning in design thinking, technology development and entrepreneurship, leaders from both universities announced during an event Monday morning in Beijing. It is the first dual degree program to be announced through GIX, a new model of learning designed to fuel innovation and foster collaborations on a worldwide scale. The dual degree program that will be jointly designed and taught by both faculties is expected to launch in the fall of 2016. After one year of study in Tsinghua, students will move to the new GIX location in Bellevue, Washington, which will be ready by fall 2017. 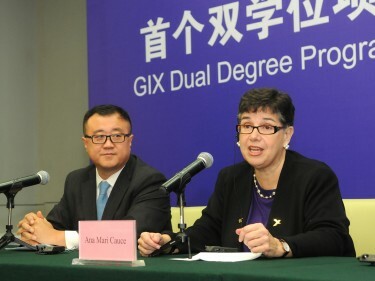 After that, new students will start from GIX each year. For more on the UW in China, read our Connecting Washington to the world blog. The dual degree program coherently integrates the Master of Science in Technology Innovation (MSTI) program from the UW and Master of Engineering in Information Technology (MEIT) program from Tsinghua. The integrated program focuses on creating innovative user experiences with connected devices and other technologies, as well as developing entrepreneurial skills to bring them to market. 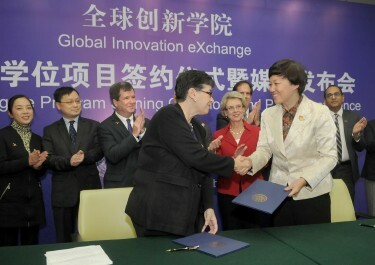 After completing the entire program, the student will receive a MSTI degree from the UW and a MEIT degree from Tsinghua. “This dual degree program will provide students with a truly global education, giving them the chance to work with partners around the world on the challenges of our time. 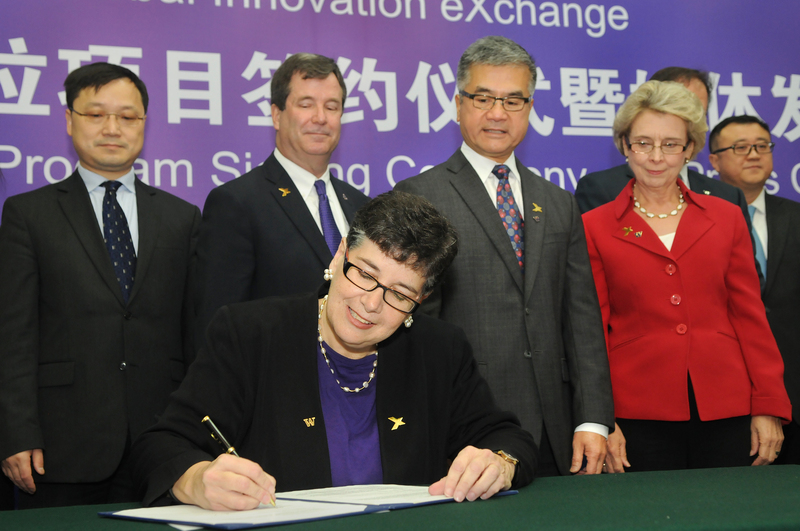 It will be a unique opportunity for the next generation of innovators, and it’s one that is only possible through the partnership such as the one we have with Tsinghua University,” said Ana Mari Cauce, UW President. 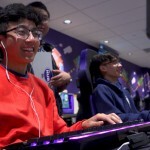 Housed in a new facility under development in Bellevue’s Spring District, GIX will pioneer new models of teaching and learning that prepare students to succeed and make meaningful contributions in a 21st century global economy. The partnership between the UW and Tsinghua will grow with additional degree and certificate programs and fields of study over the next decade. With foundational support from Microsoft — and through future partnerships with other world-class companies and additional research universities — students will have access to top faculty, innovators and entrepreneurs. Under the guidance of UW and Tsinghua faculty, as well as industry mentors, students will develop product ideas that solve a specific problem or address a global challenge, collaborate in small teams to take an idea to prototype and prepare to turn concepts into viable business ventures. “Innovation requires you to understand users so you build the right thing, know enough about the technology to prototype it and demonstrate it, and know how to pitch it and convey its importance. 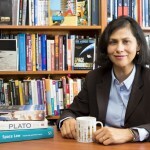 This is going to be an intensive, integrated educational program in all these areas,” said Shwetak Patel, chief technology officer for GIX and UW’s Washington Research Foundation Entrepreneurship Endowed Professor in Computer Science & Engineering and Electrical Engineering. The UW MSTI is currently under review by the Graduate School, which must approve all new degree programs. For more information, contact Victor Balta in Seattle at 206-543-2580 or balta@uw.edu, or Jack Martin at jacktm@uw.edu.